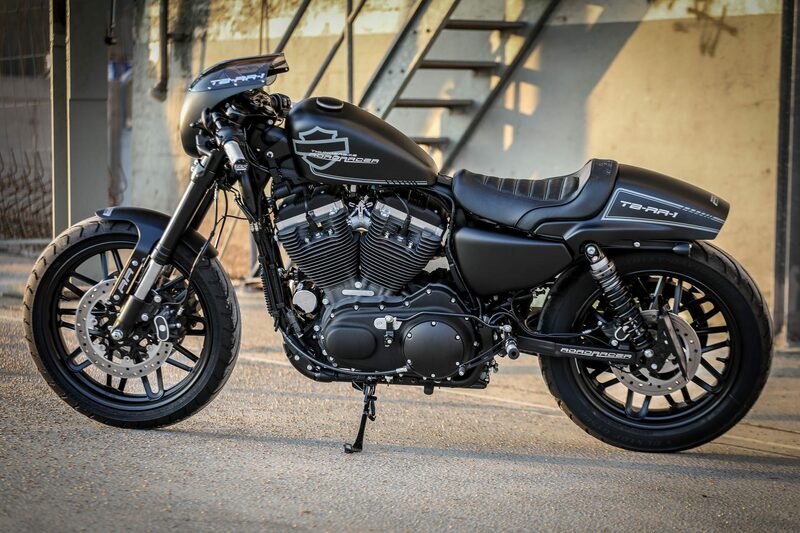 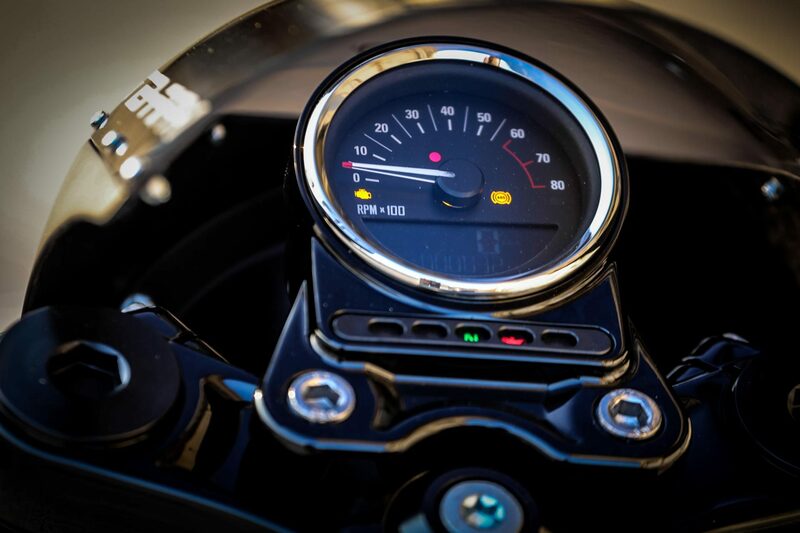 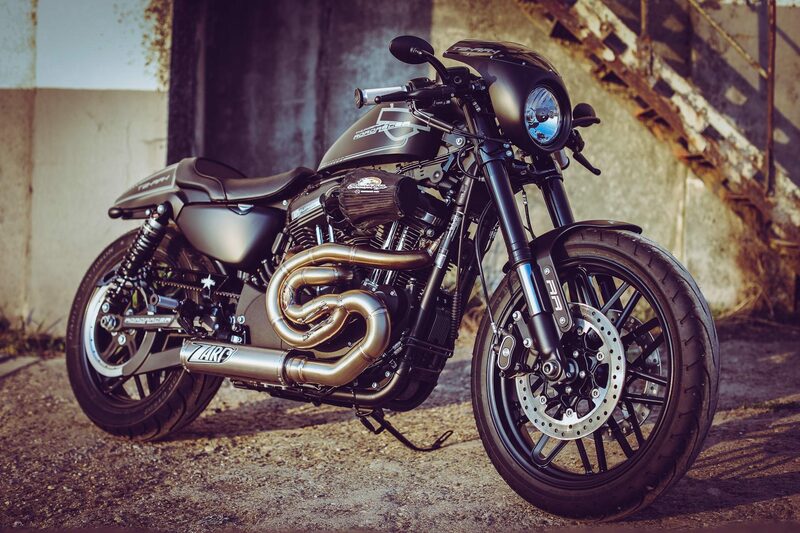 Does a Sportster have true Racer genes? 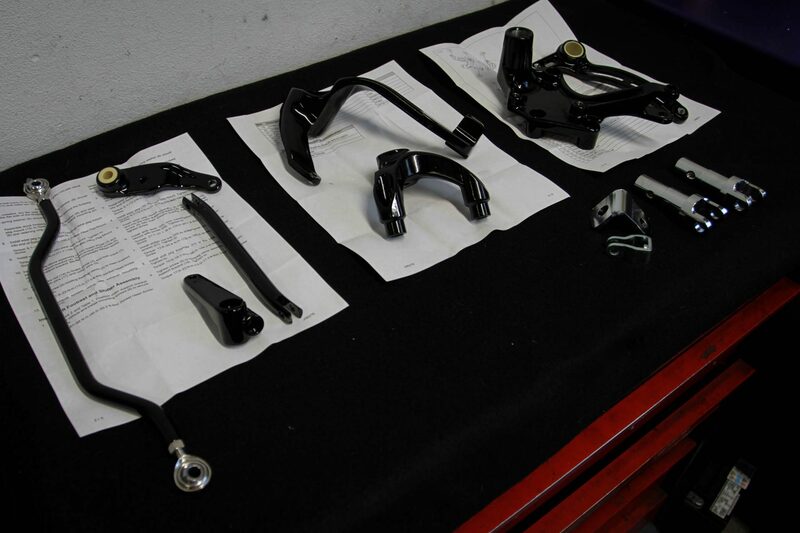 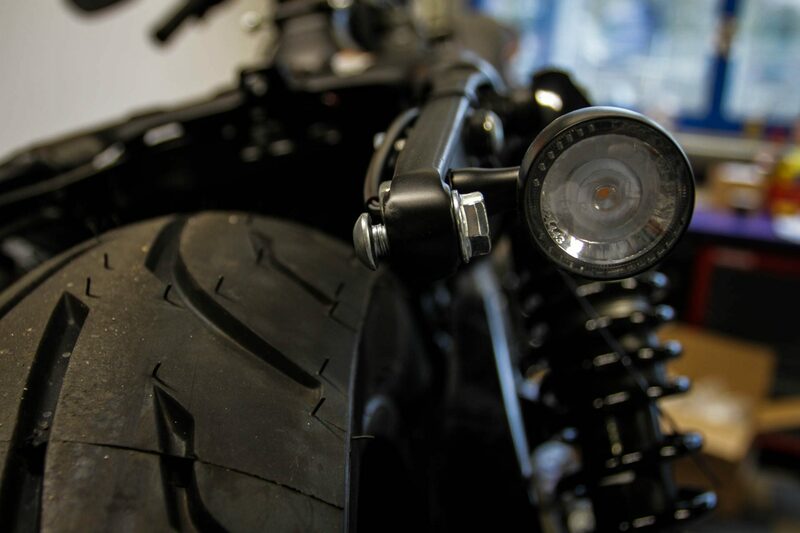 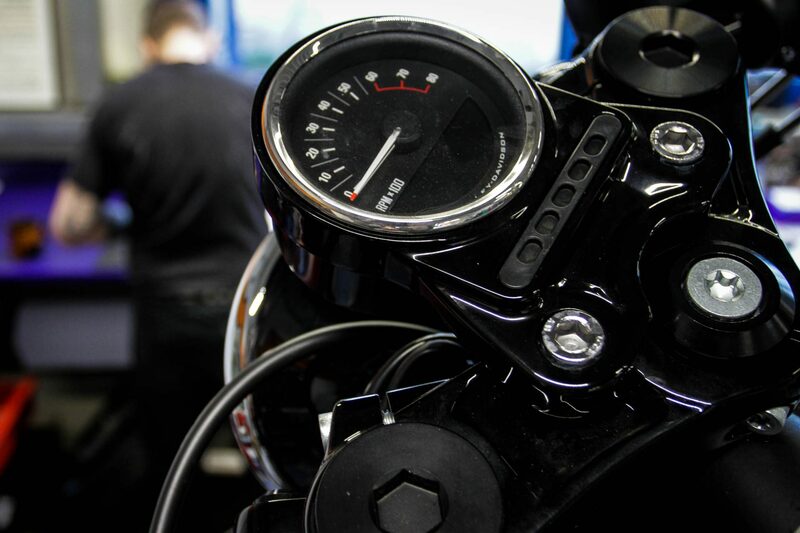 This question can be answered quite clearly with our Roadster conversion with a YES, because here plenty of angle freedom on full brakes and a very neat suspension meet. 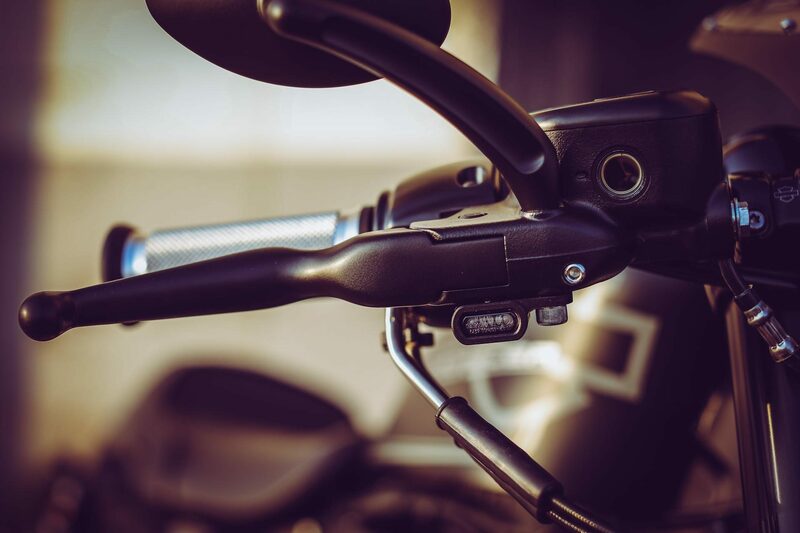 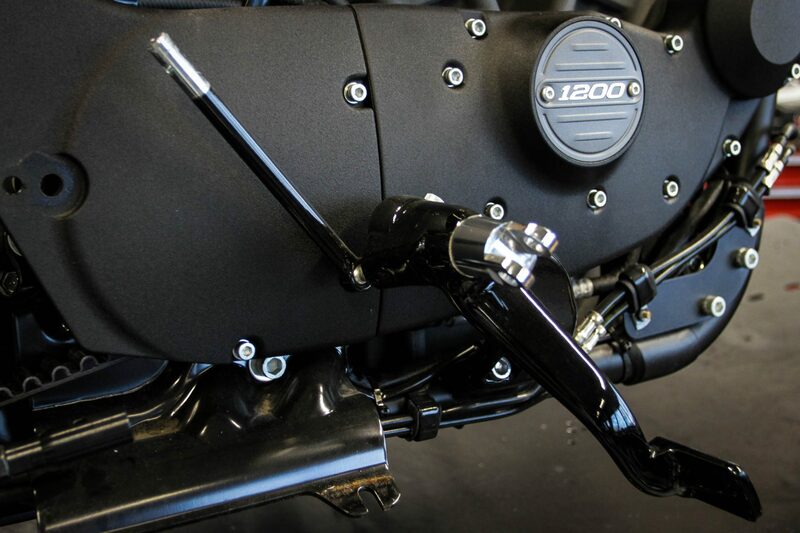 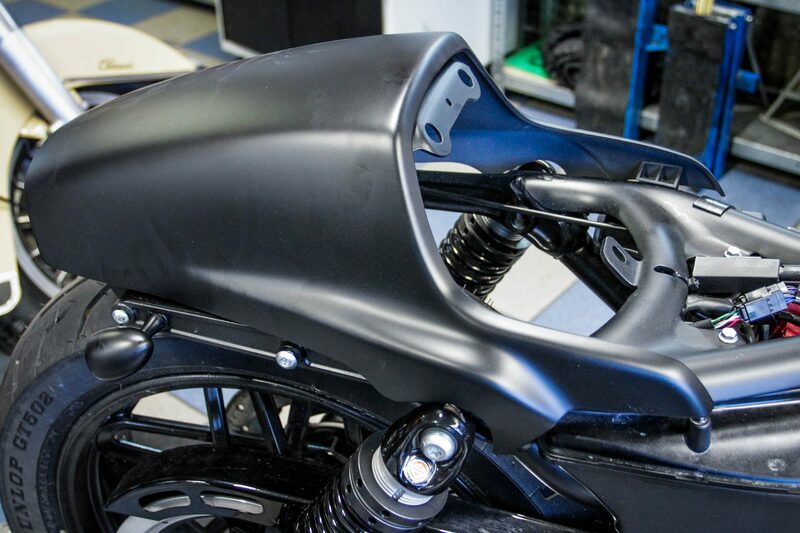 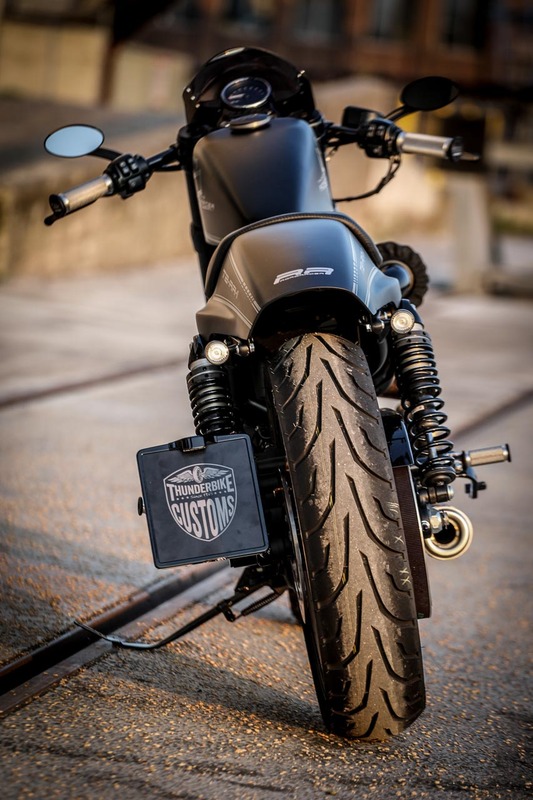 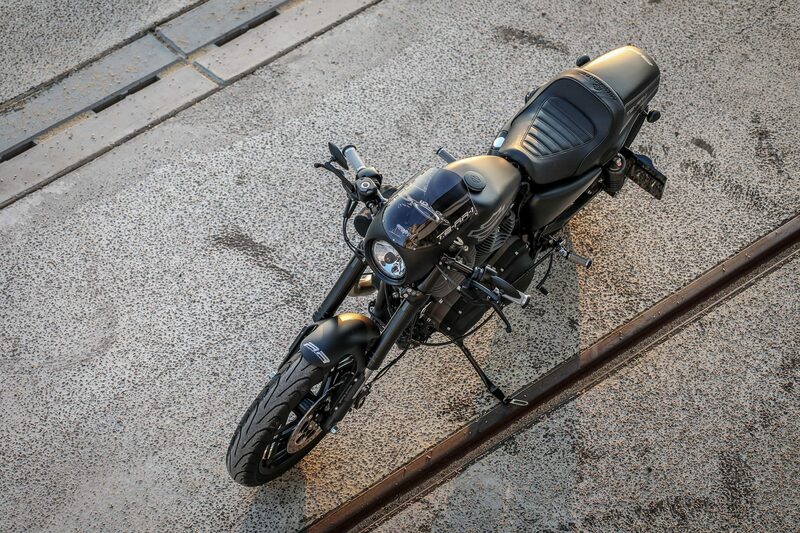 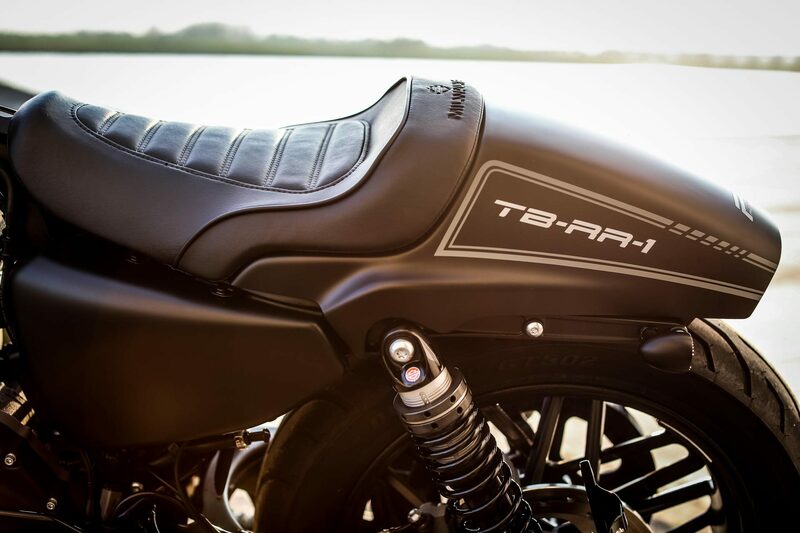 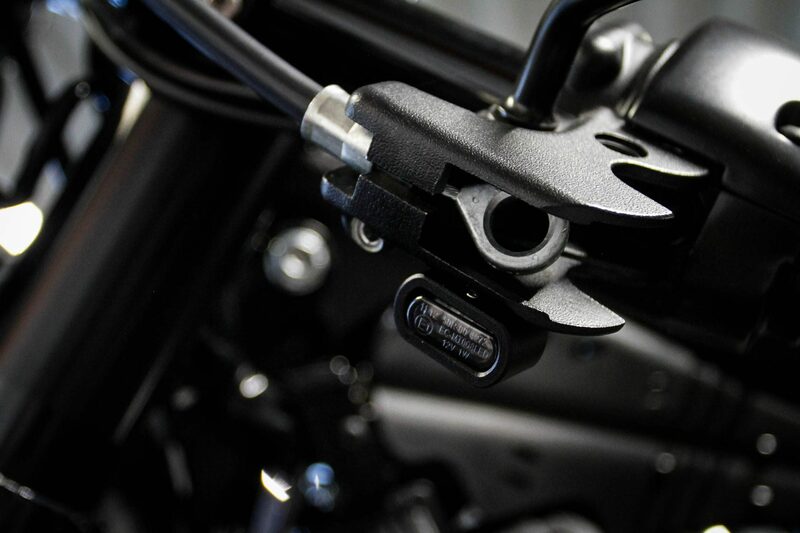 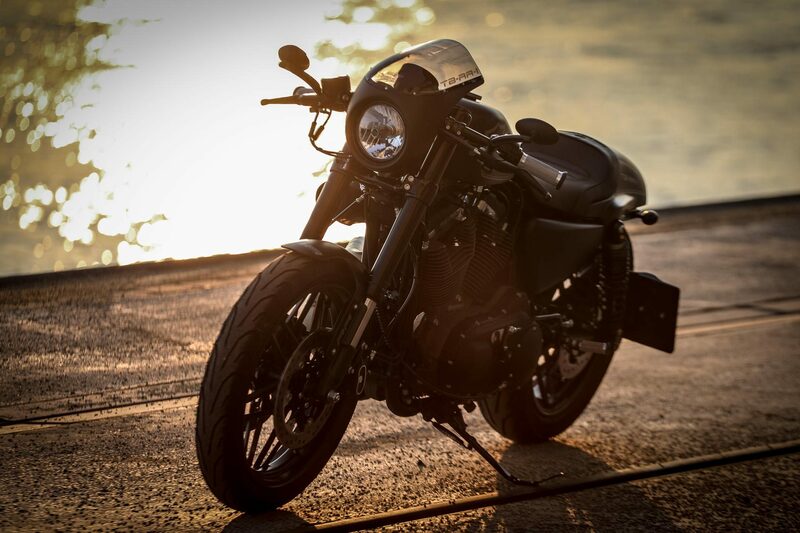 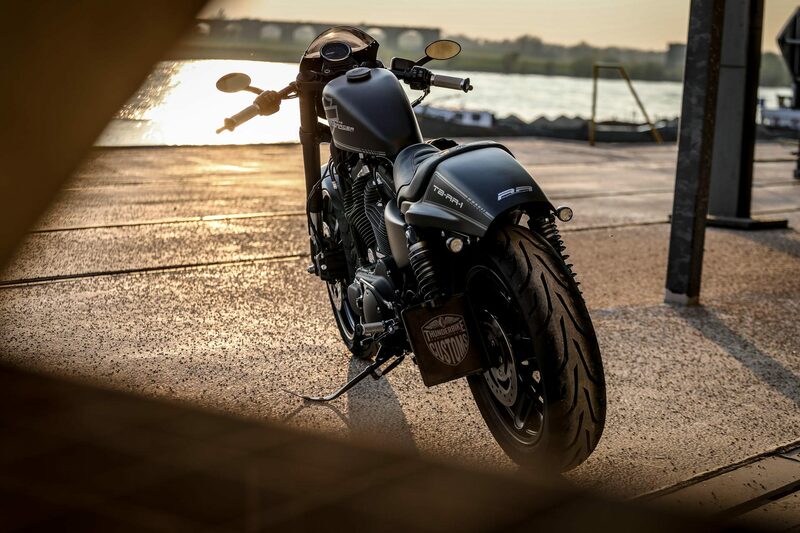 Even with the look of this bike is no compromise, although the rear can even be mounted as a bolt-on part without cutting the Struts. 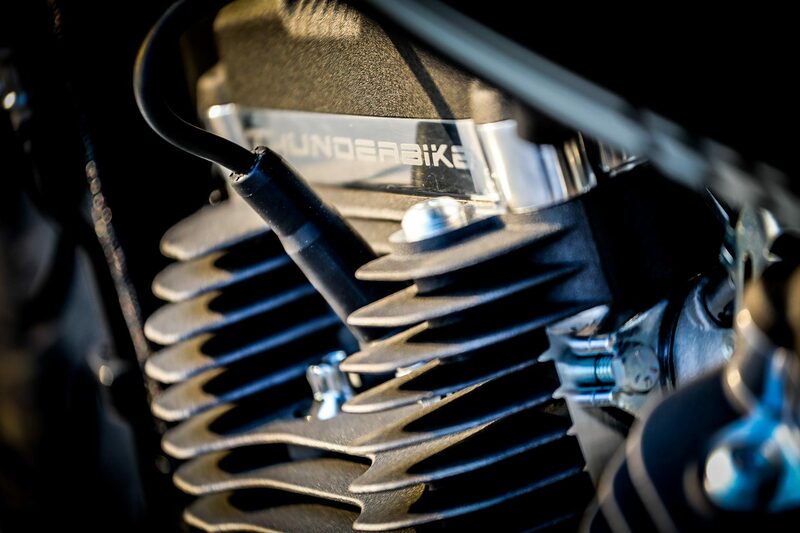 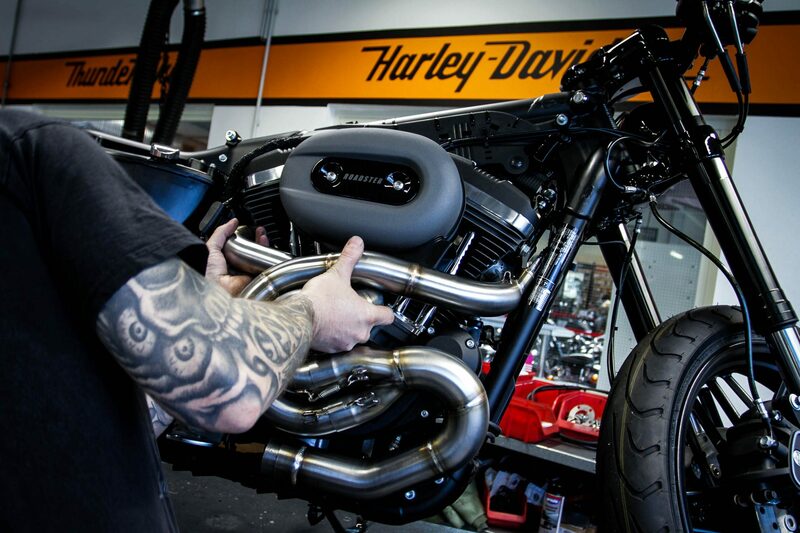 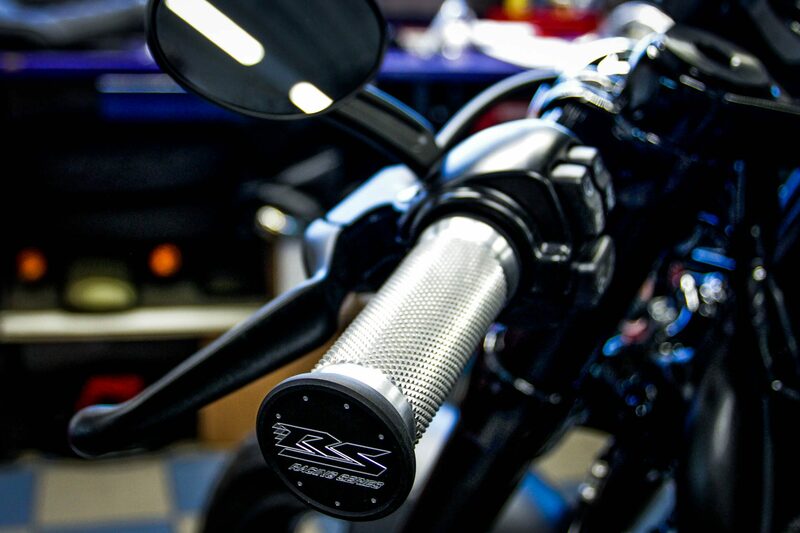 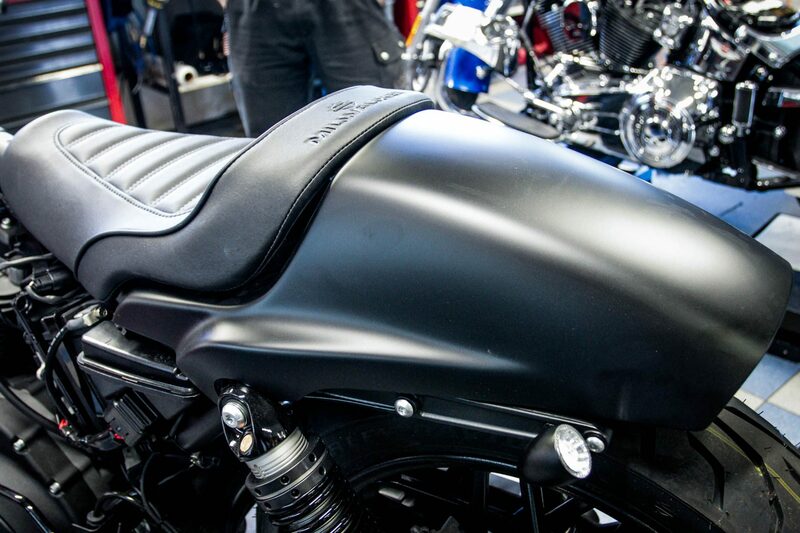 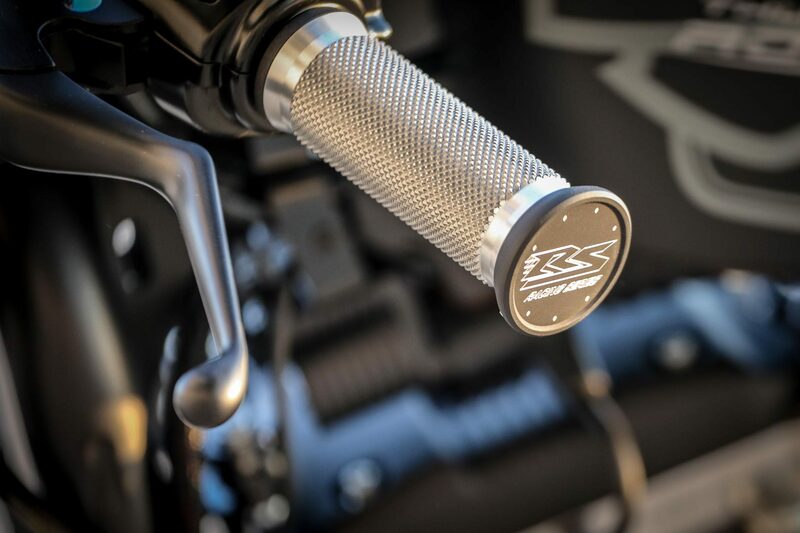 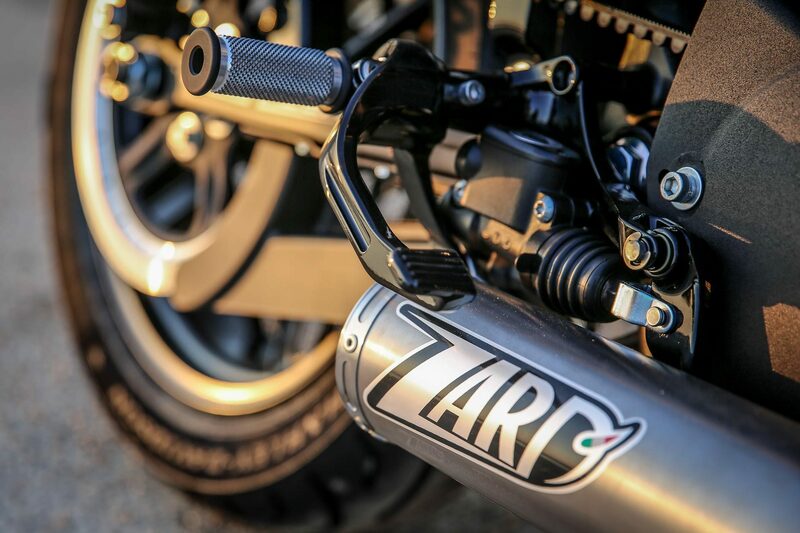 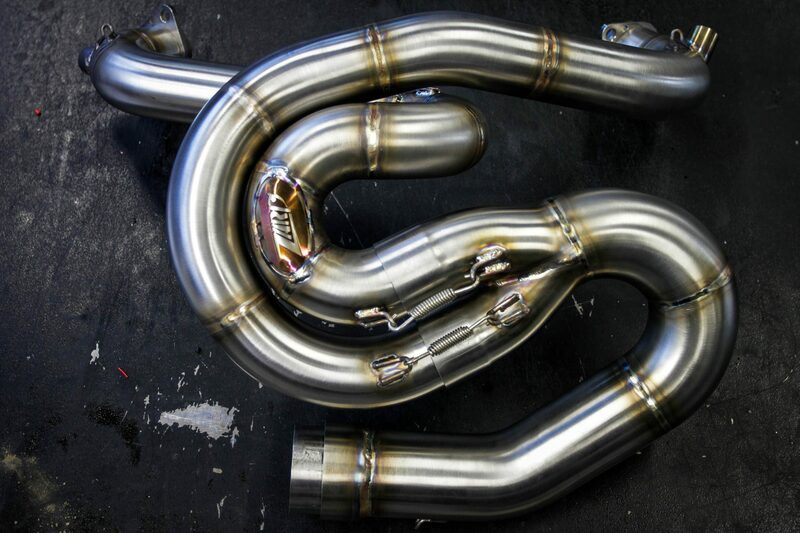 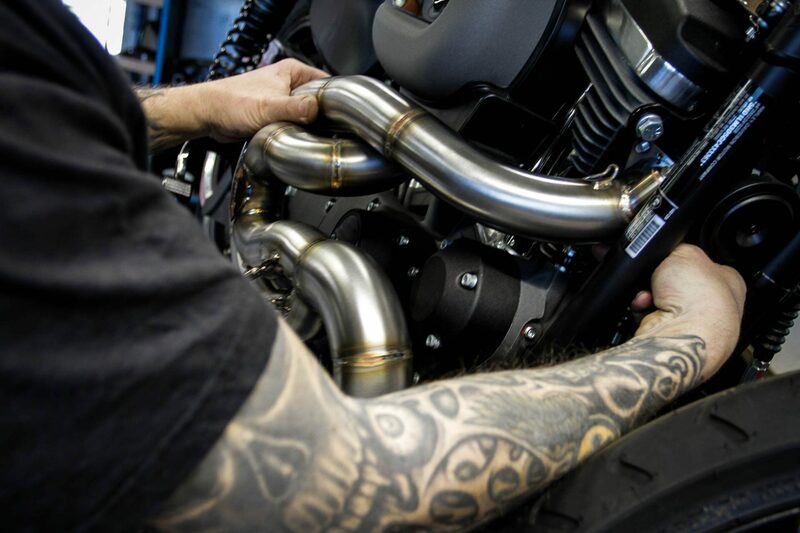 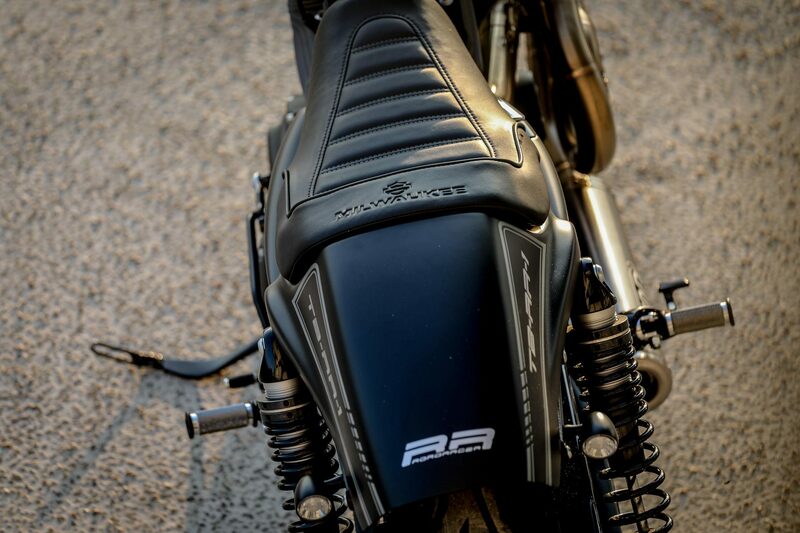 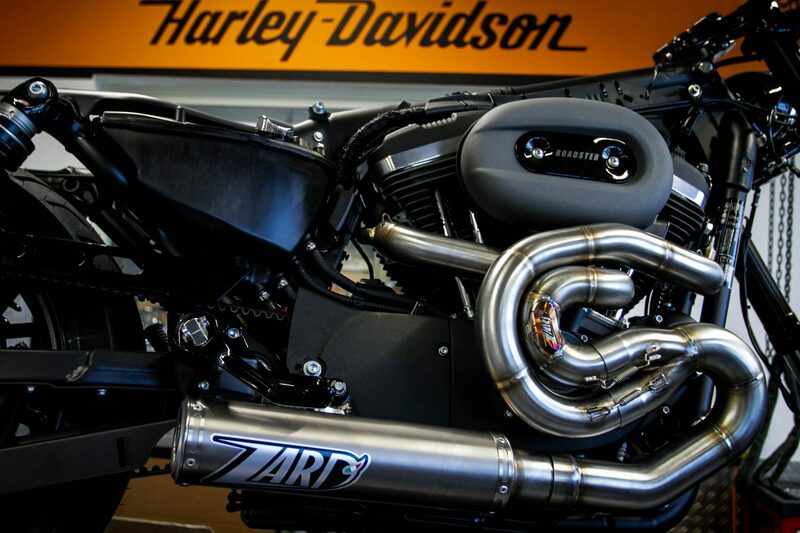 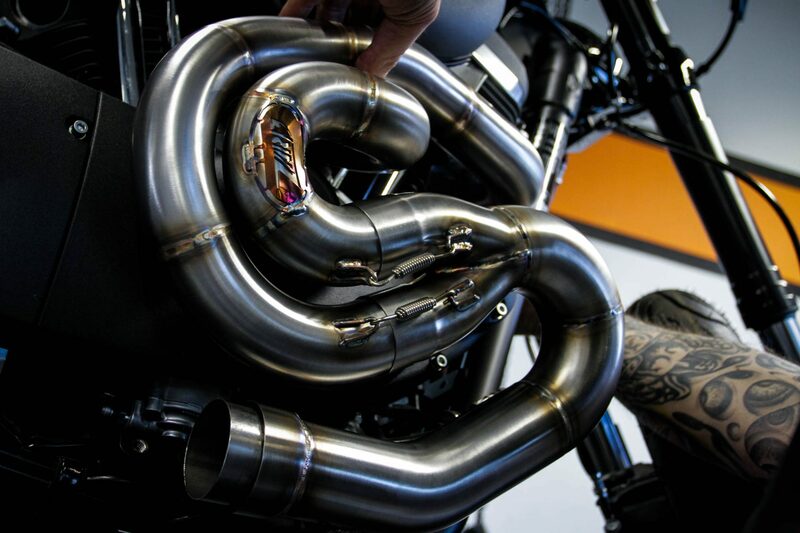 The sporty Zard exhaust system with extravagant manifold guide is ventilated by a Screamin Eagle air filter. 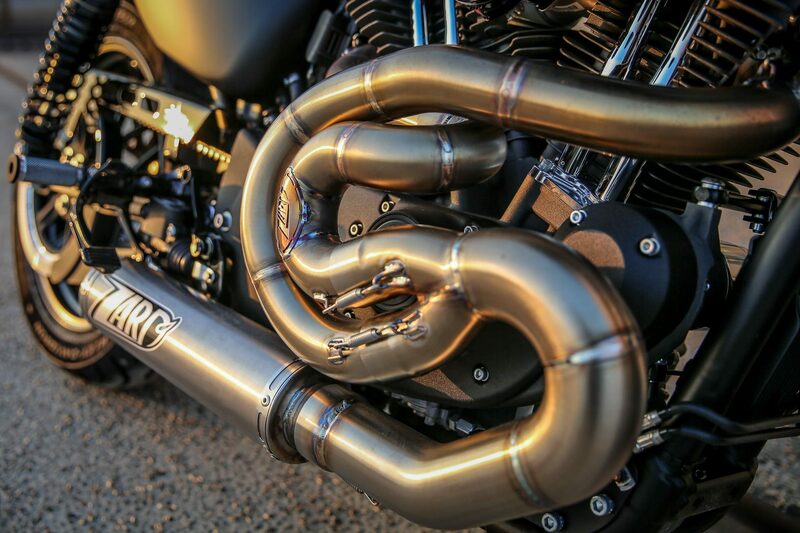 This combination sets accents without ending in deafening noise. 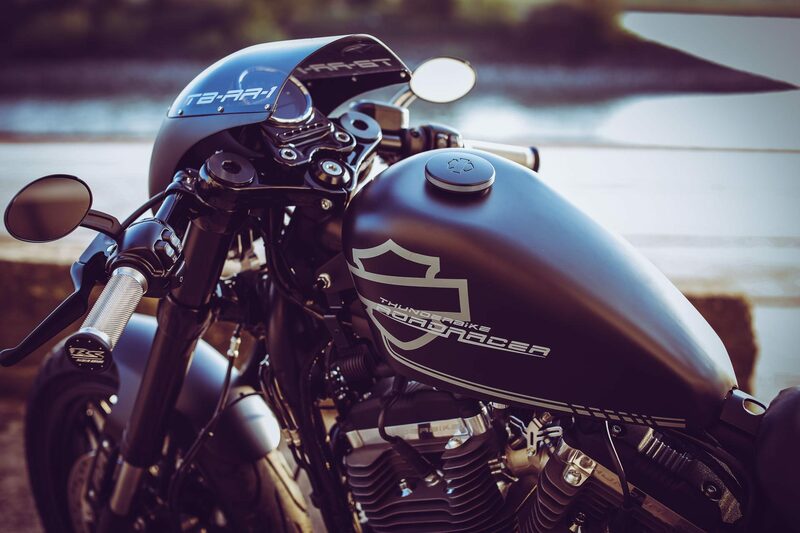 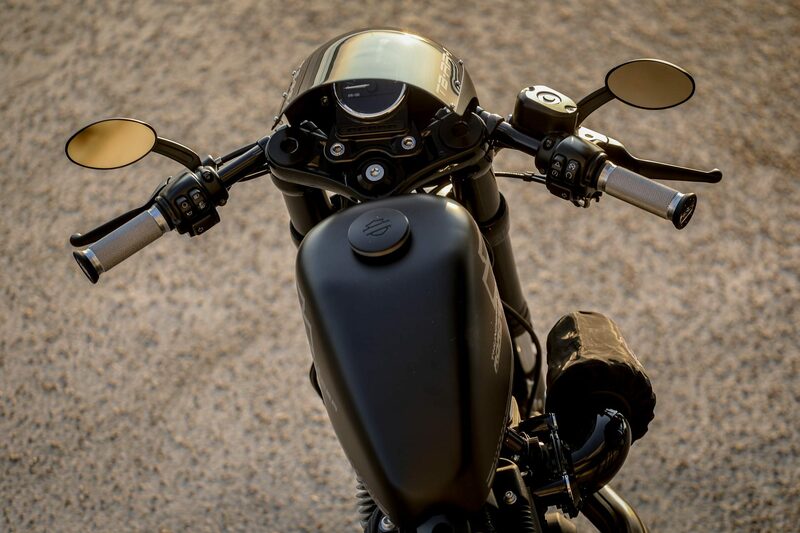 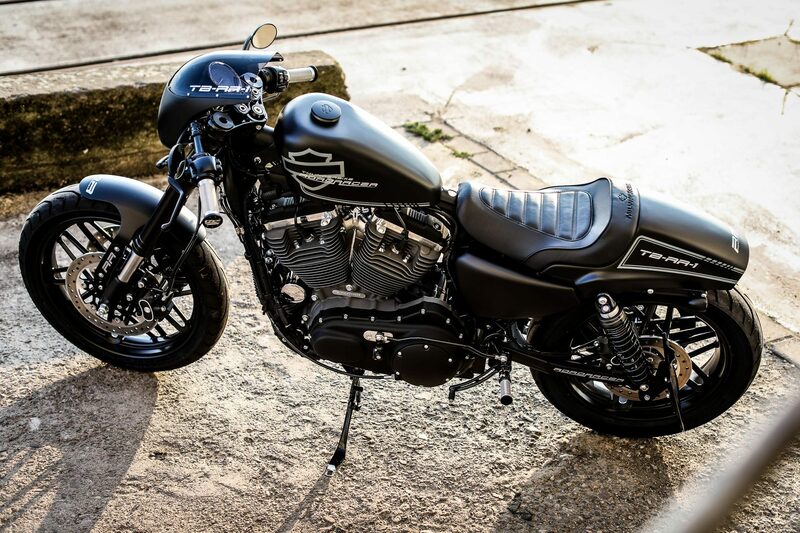 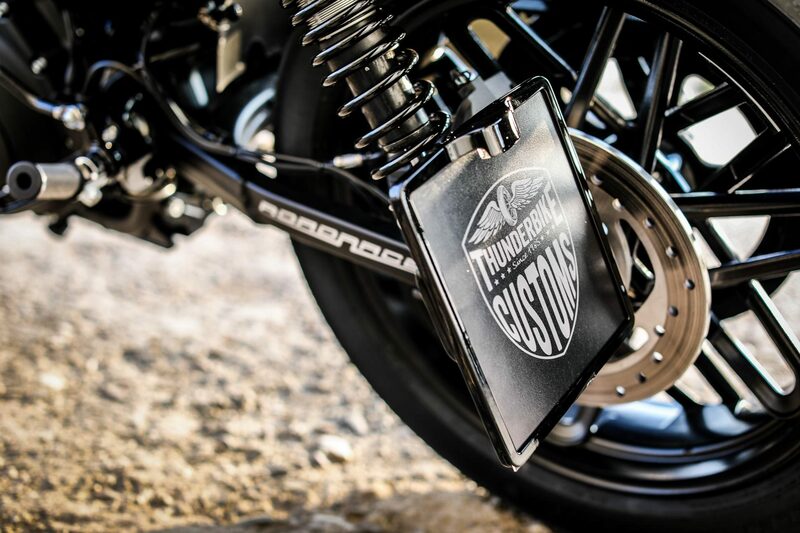 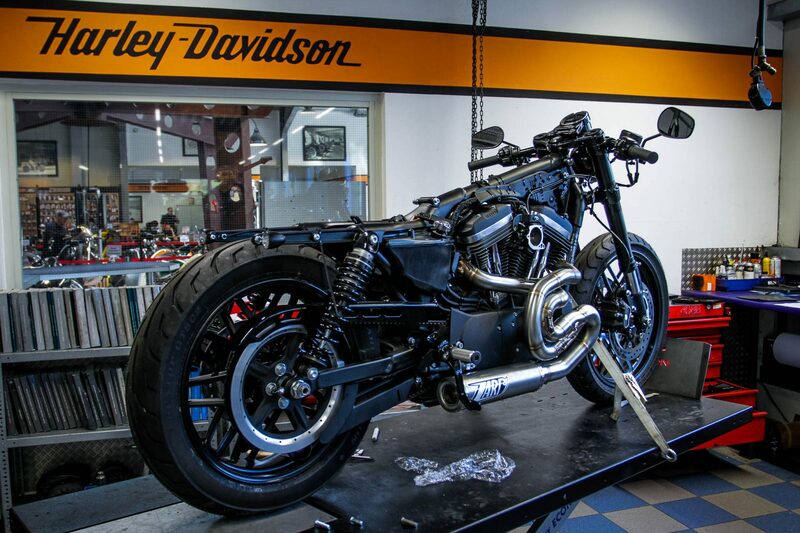 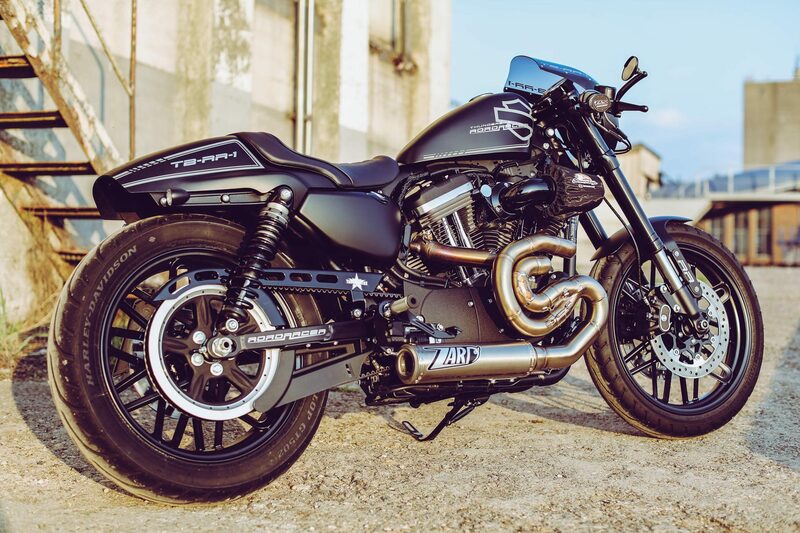 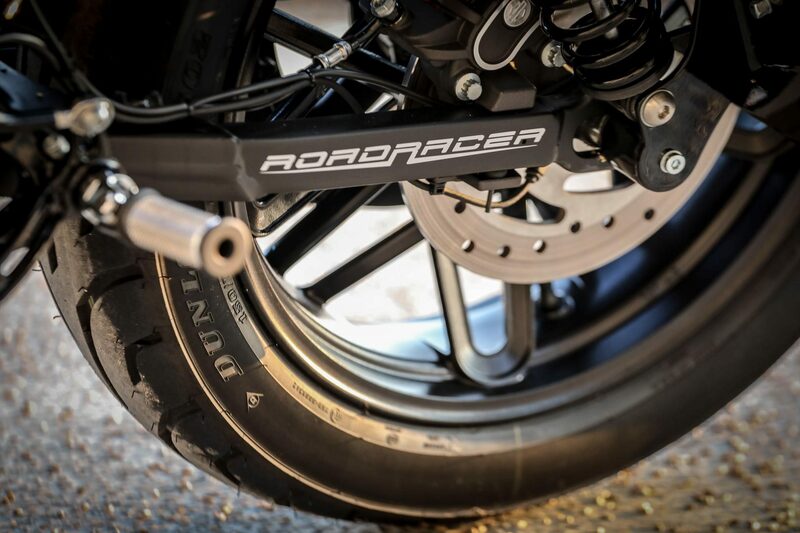 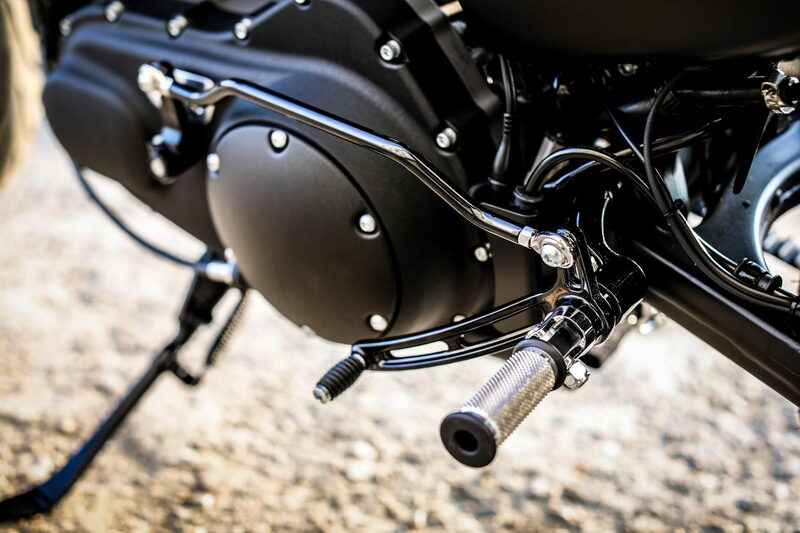 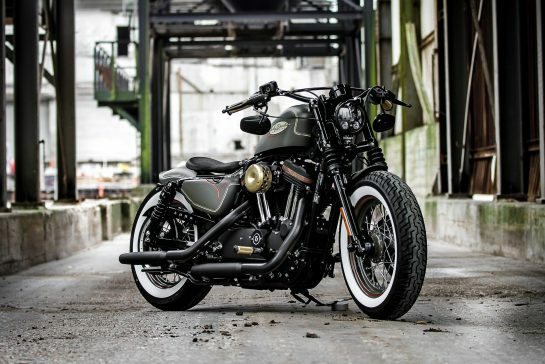 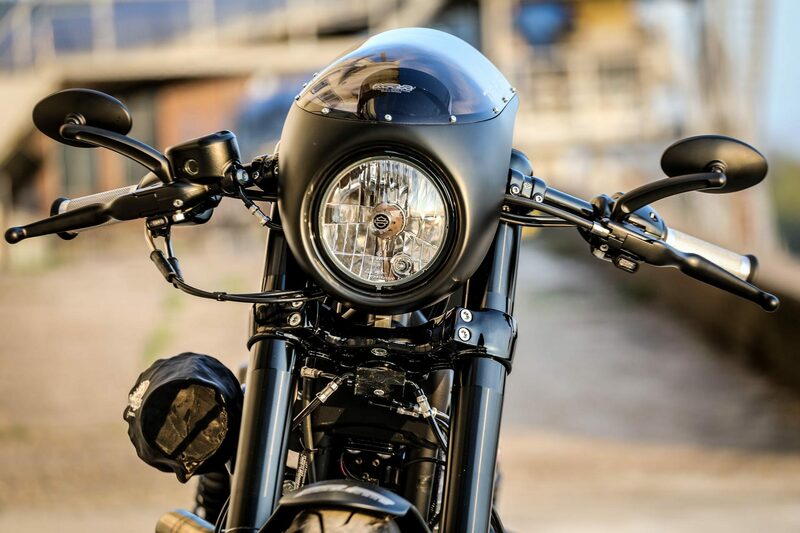 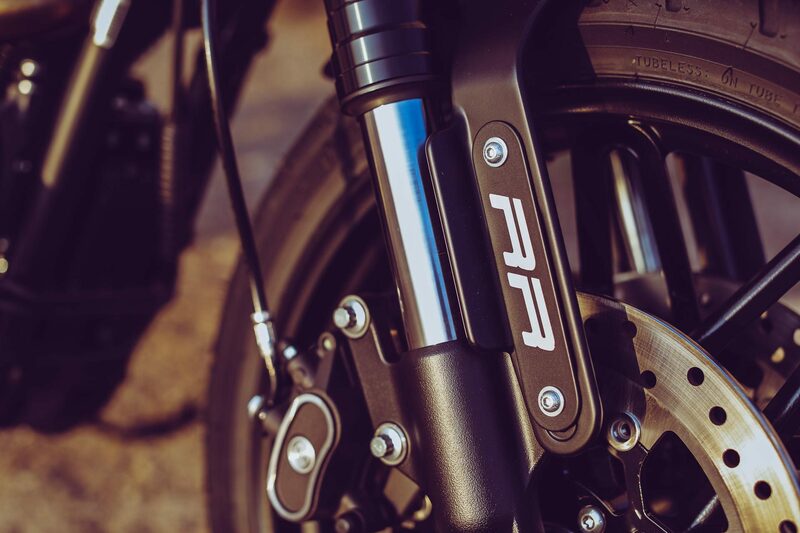 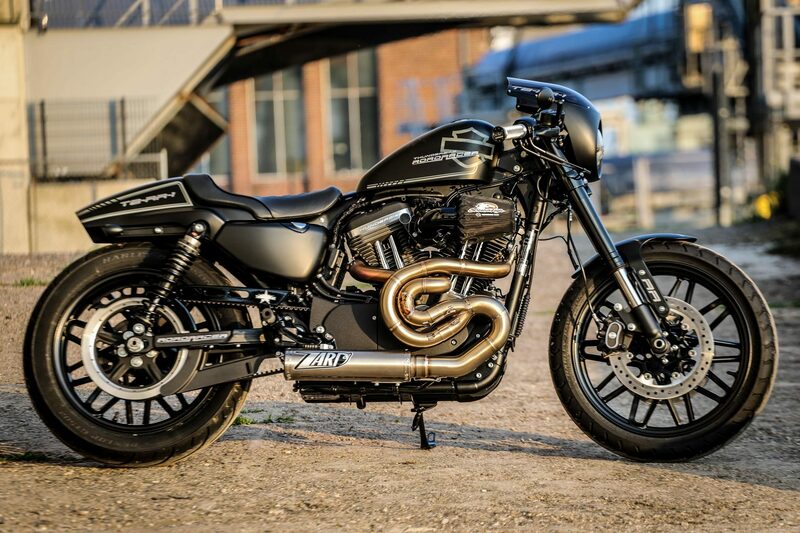 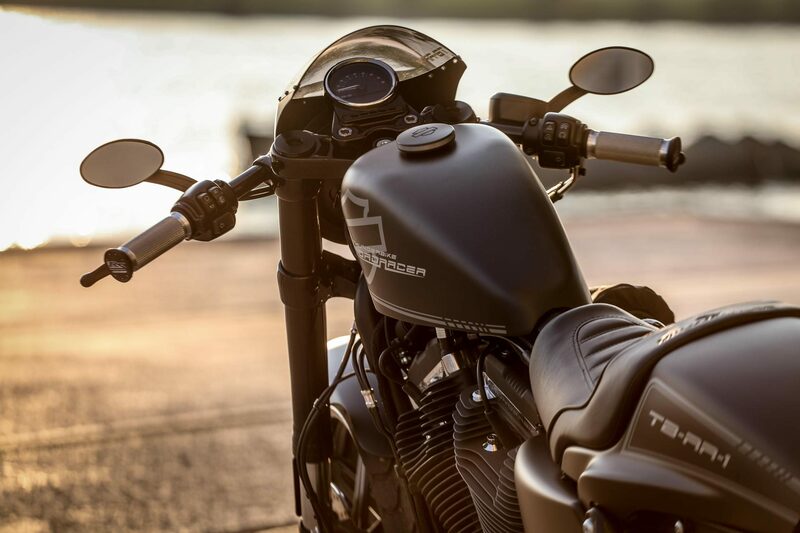 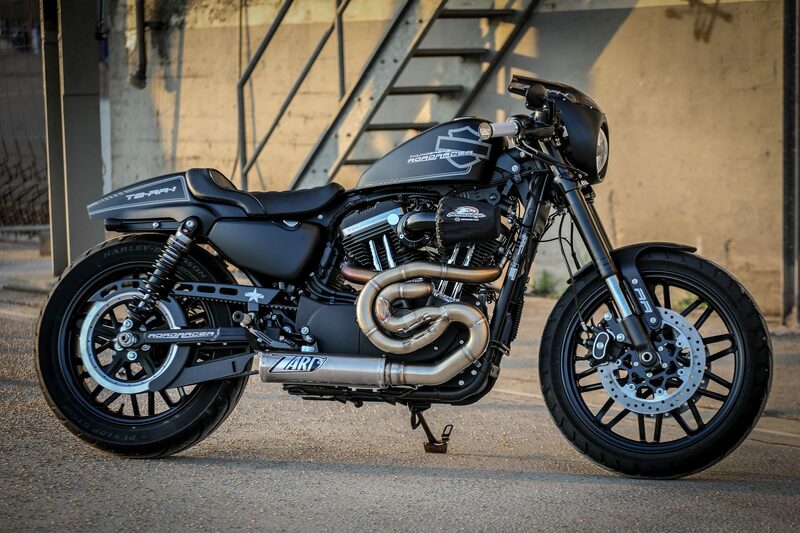 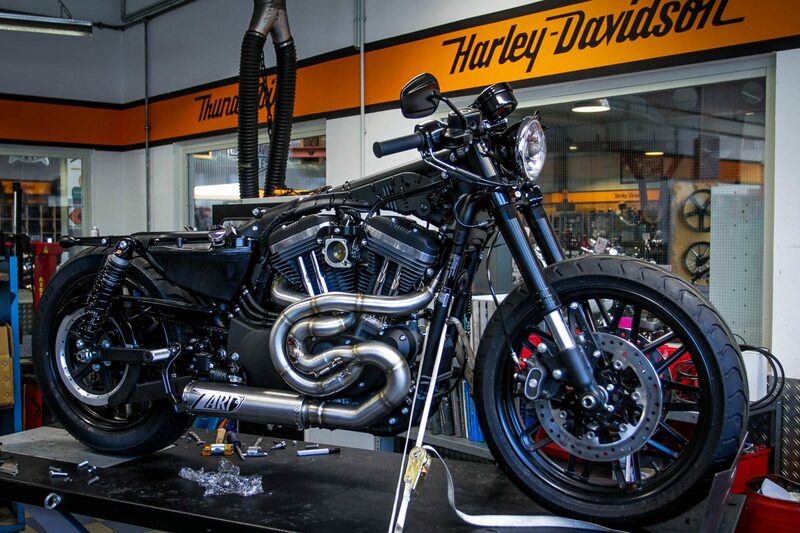 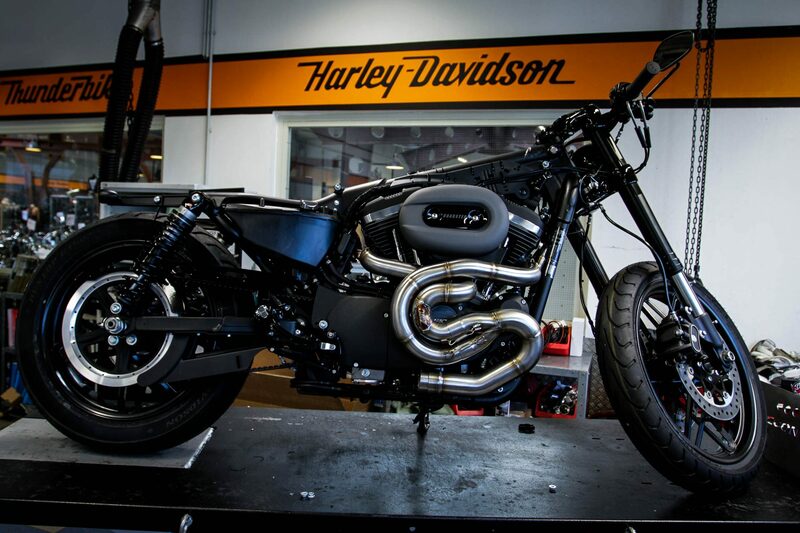 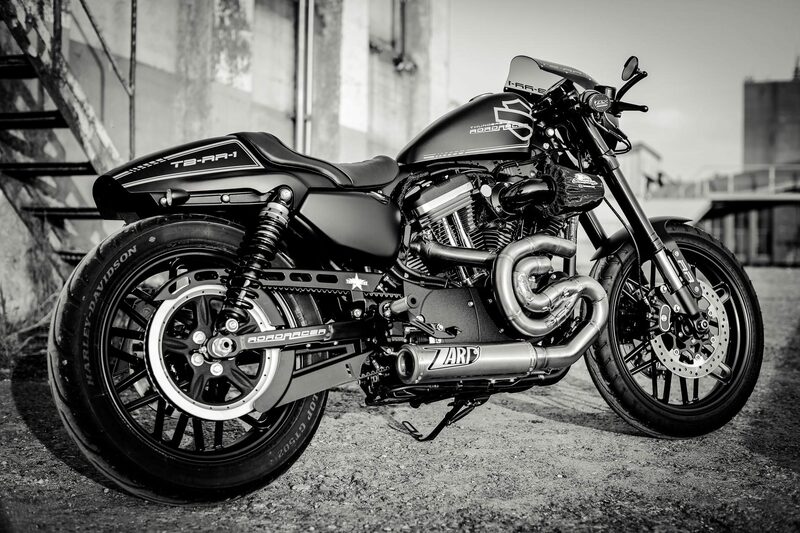 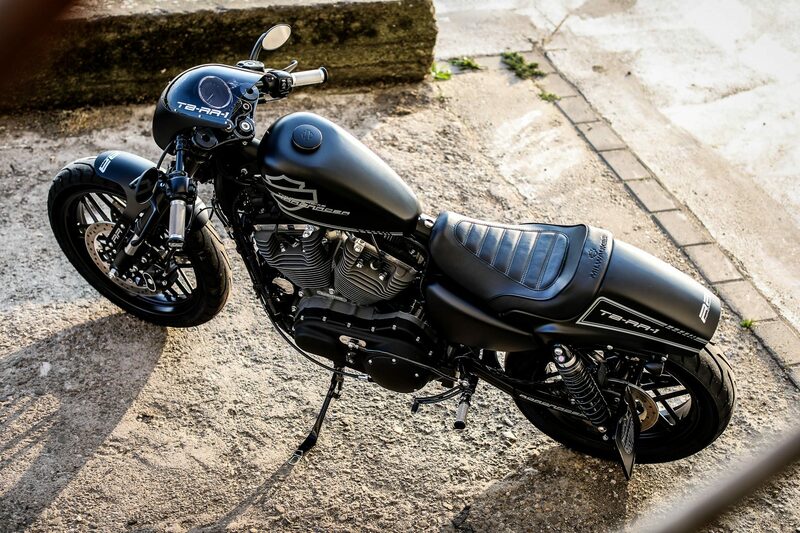 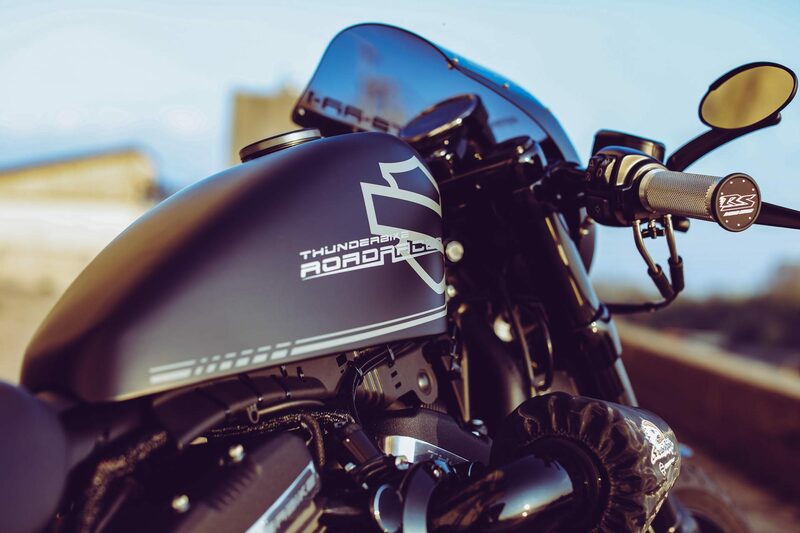 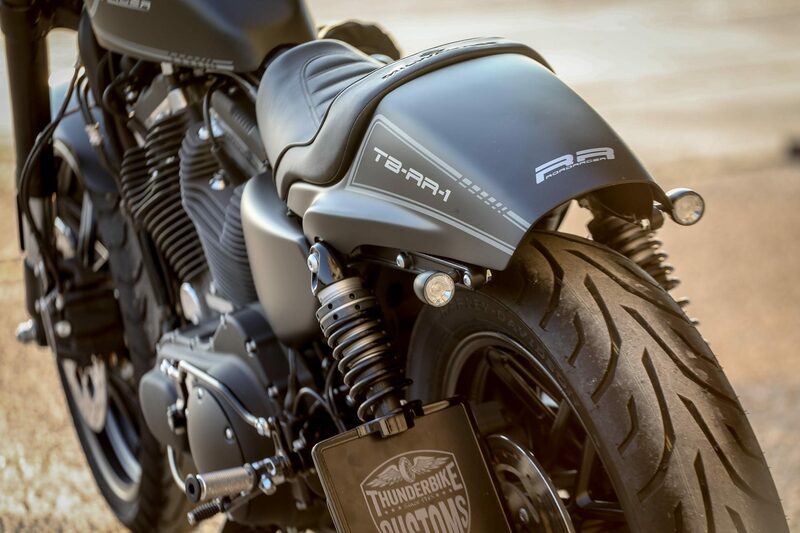 Modern influences such as the aluminum rims, ABS double-disc brake and an upside-down fork show that this Harley-Davidson made for the road Does a Sportster racer genes true? 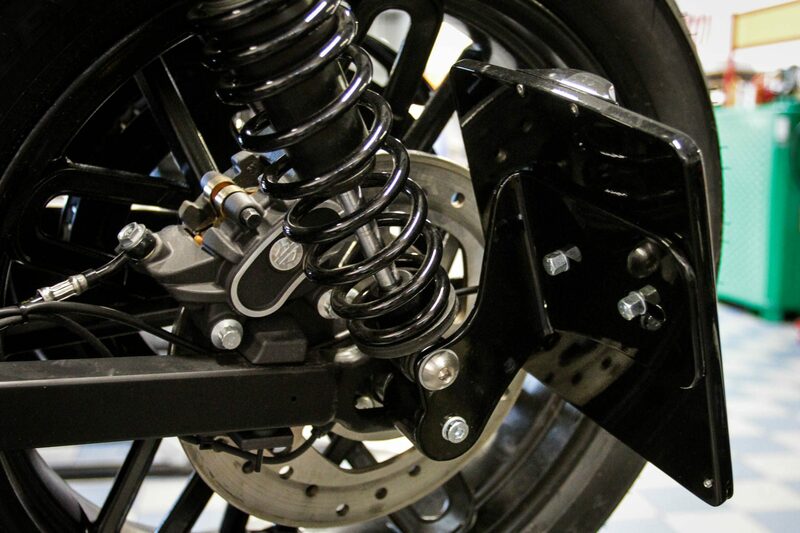 This question can be answered quite clearly with our Roadster conversion with a YES, because here plenty of angle freedom on full brakes and a very neat suspension meet. 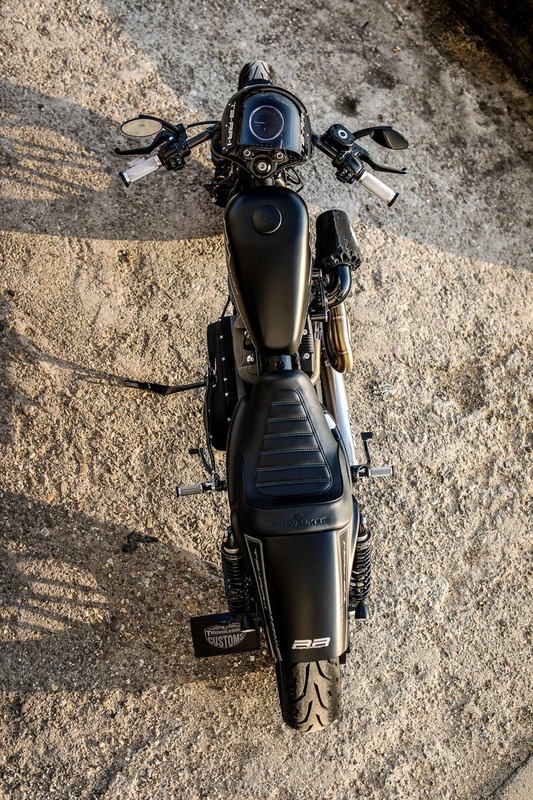 Even with the look of this bike is no compromise, although the rear can even be mounted as a bolt-on part without cutting the Struts. 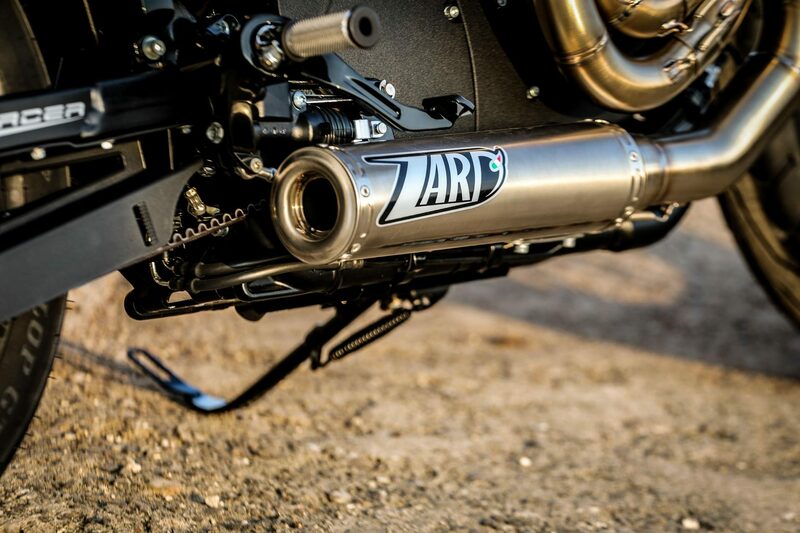 The sporty Zard exhaust system with extravagant manifold guide is ventilated by a Screamin Eagle air filter. 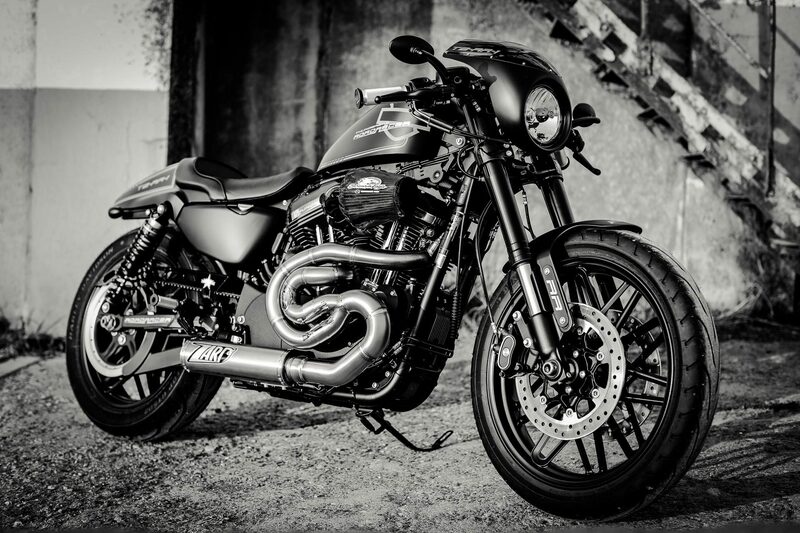 This combination sets accents without ending in deafening noise. 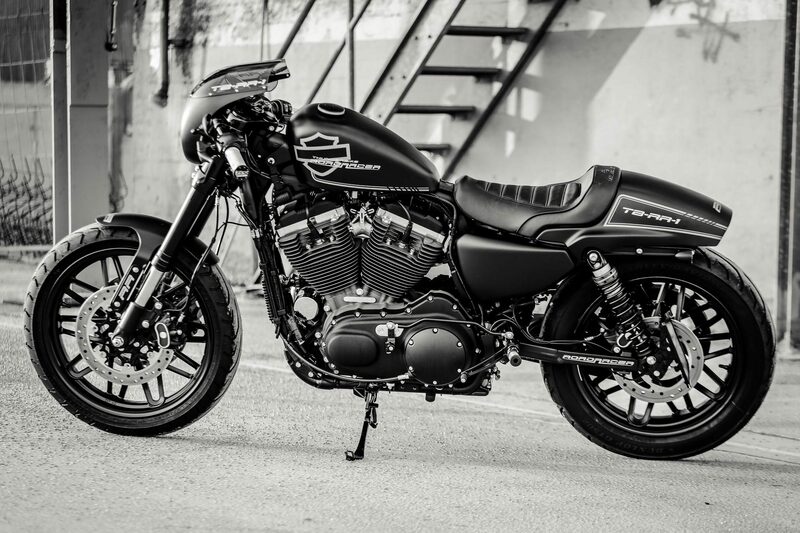 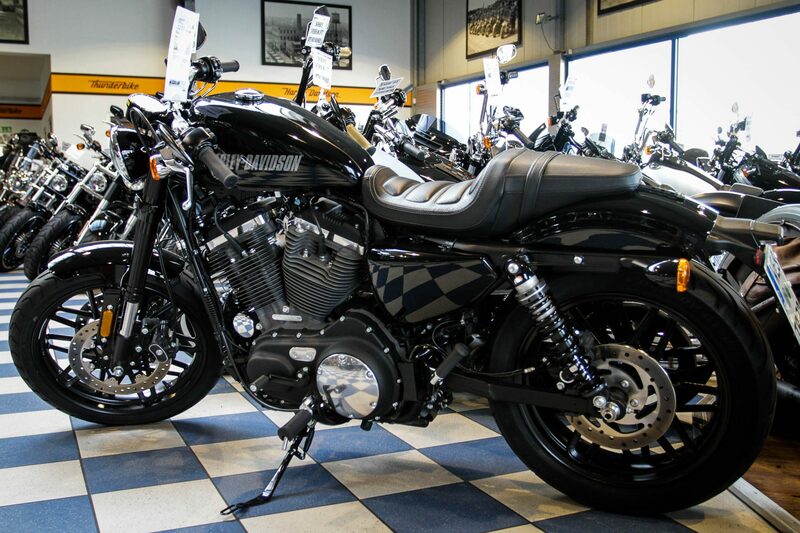 Modern influences like the aluminum rims, ABS double disc brake and an upside down fork show that this Harley-Davidson is made for the road!